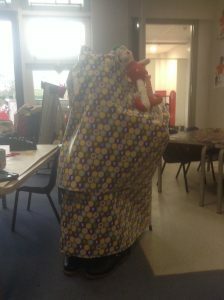 A very special (but naughty) visitor arrives in Reception! 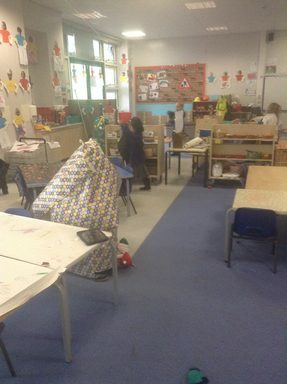 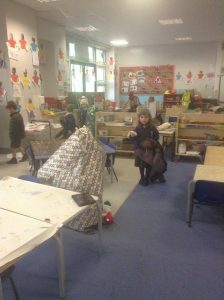 Reception have received a very small but special box from the North Pole. 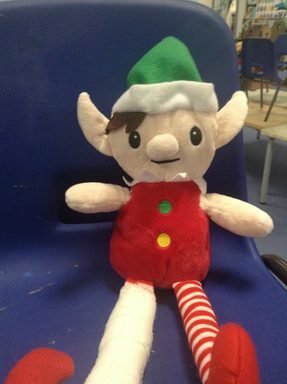 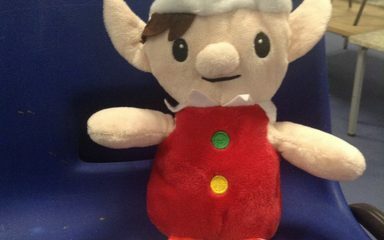 Santa has sent Elbert the Elf to Reception because he had caused lots of problems in the workshop. He had been hiding the magic flying dust and mixing up everyone’s presents. 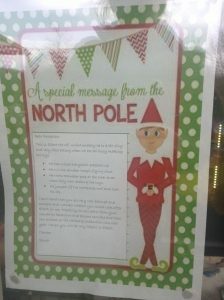 He even threw reindeer poop at the other elves! The Reception children want to show Elbert what it means to be kind and respect others. 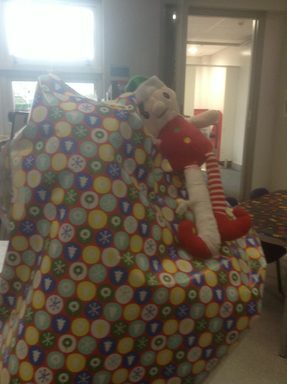 However… Elbert was naughty over lunch and wrapped Miss Tingle in wrapping paper!